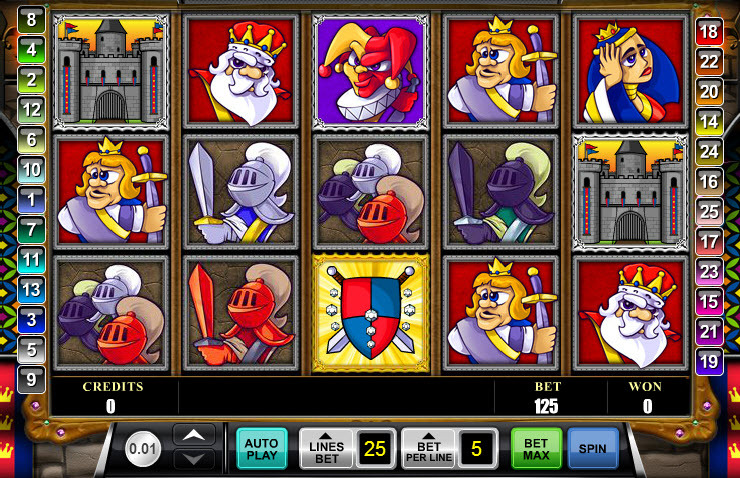 Overview: Take a trip back to medieval times with King's Castle, a 5-reel, 25-line video slot. Bet 1-5 coins with values of 0.01 to 0.25 and create all sorts of winning combinations with the kings, queens and crowns displayed on the reels. Also watch out for the court jester symbol, which is wild. 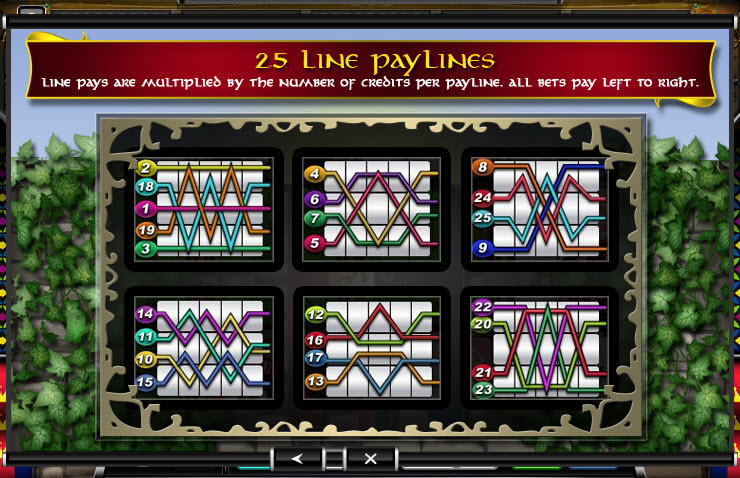 Summon 5 jesters on a pay line with a maximum 5-coin bet and get paid 10,000 credits. 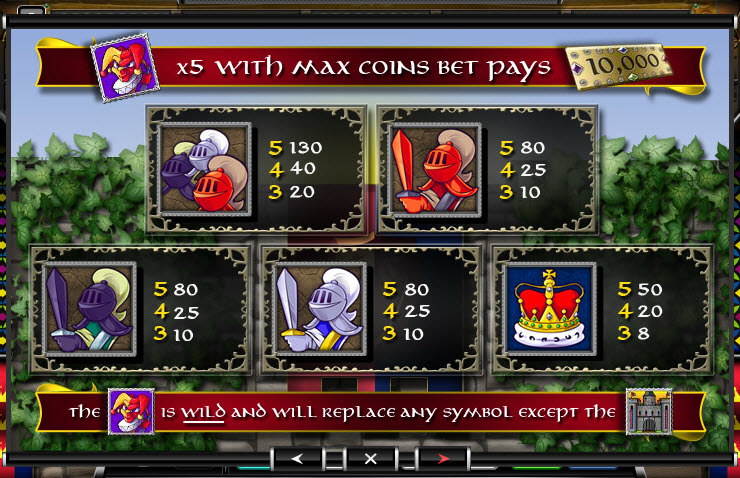 The castle is the Free Spin symbol in this video slot. 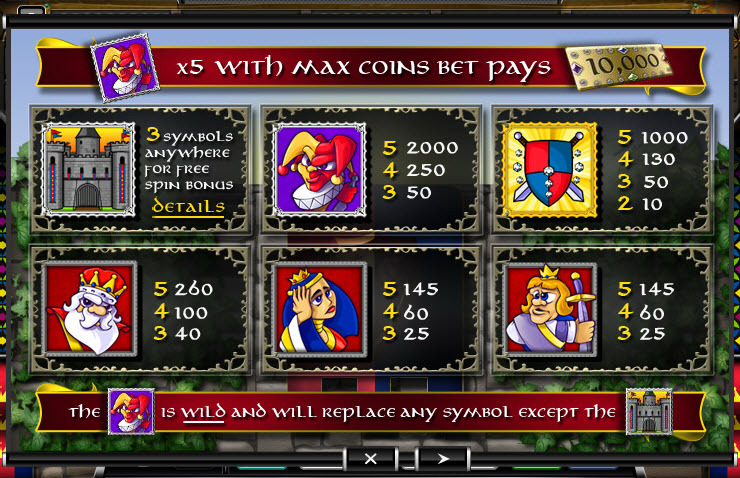 Collect 3 or more of those symbols anywhere on the reels to enter the Free Spin Bonus. Spin the big wheel in order to determine the number of spins and the multiplier. The lowest possible number is 5 spins at 1x multiplier while the largest is 20 spins with a 3x multiplier. To keep the bonus spinning alive, find 3 or more Free Spin castles during one of the free spins and your free spins collection will be replenished with the same number and multiplier as before. 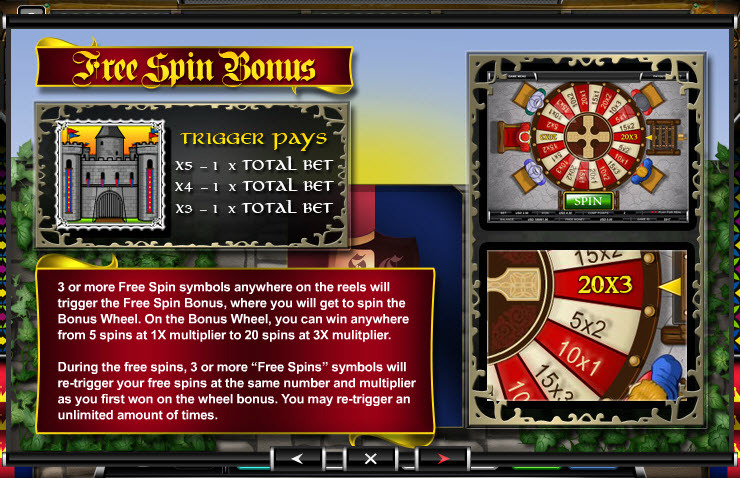 There are no limits to the amount of re-triggered free spins. Similar Slots: If you like King's Castle, you might like these other slot machines from Ace Gaming: 5x Wild Diamonds Bonus, Carnival Wheel, Cleopatra's Bonus, Party Bucks, Volcano Bonus.